Updated on Tuesday, October 16: Destruction of garden furniture in an arson attack on Selby Meadows, New Town, has been deplored by town councillors. Chairman of the town council’s environment and leisure committee, Cllr Jeremy Beesley, highlighted the attack at a meeting of councillors last night (October 15). He referred to a similar attack at the Millennium Green at Ridgewood. Town mayor, Cllr Spike Mayhew, said it was such a shame after last weekend’s Poppy event which was “absolutely brilliant”. Cllr Beesley said he had seen comments on social media asking why the perpetrators had done it. He believed those responsible didn’t know why. 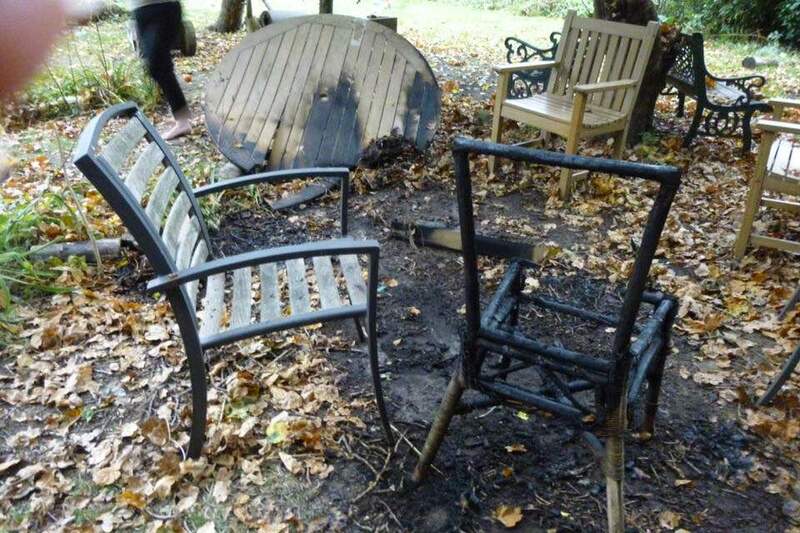 From our original story on Monday, October 15: Vandals set fire to garden furniture at Selby Meadow community garden in New Town, Uckfield, yesterday afternoon. It was only thanks to neighbours, who smelt the blaze, that more damage wasn’t caused. But the people who put so much effort into looking after the garden are demoralised and wondering how they can protect it in the future. This is the second time the garden has been attacked in a year. Back in August new legs had to be fitted to a wooden horse, a notice box was left without a lid to keep the rain out and things were “thrown around and spoilt”. And in 2016 fire destroyed a children’s play house in the meadow – though police believed that was accidentaly set alight, probably by a cigarette. Last week everybody was riding on a high after a successful open day when there was an exhibition of World War 1 memorabilia and more than 1,000 hand-knitted and crocheted poppies adorned displays. 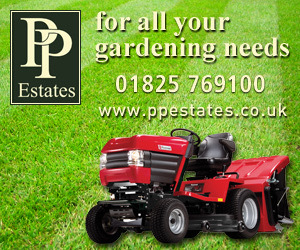 Funds were raised for the Royal British Legion and for the upkeep of the meadow. Resident Ben Cox said he would do his best to help sort out the mess, get to work on replacing and moving forwards. There were many other offers of help with people expressing sadness and outrage about the vandalism. Selby Meadow was opened as a community space in 2011 after being saved from development by neighbours and turned into a peaceful haven for themselves, wildlife and the wider community.